It was a weekend of firsts. 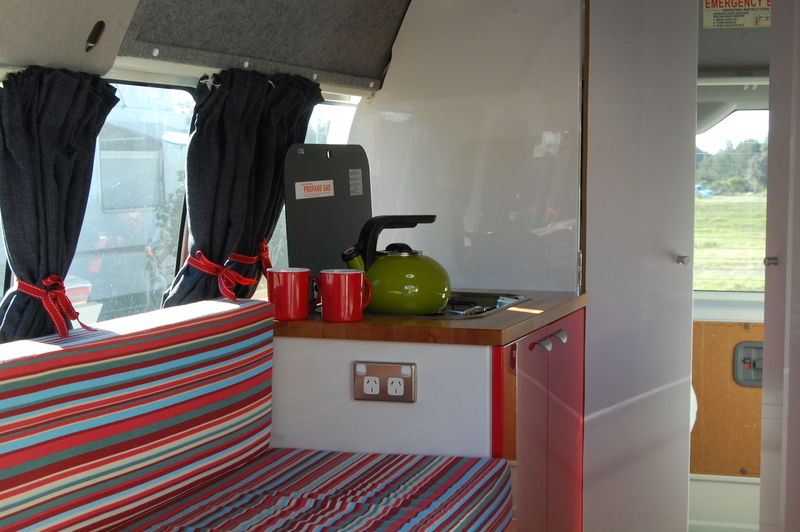 The first time our campervan had ventured out of the local suburbs. The first camping holiday with my in-laws. The first outing for our new whistling kettle! (The gas had finally been installed). Destination? Yamba. A small town around four hours south of Brisbane on the northern New South Wales coast, it was one of the first places we’d earmarked to visit when building the campervan. 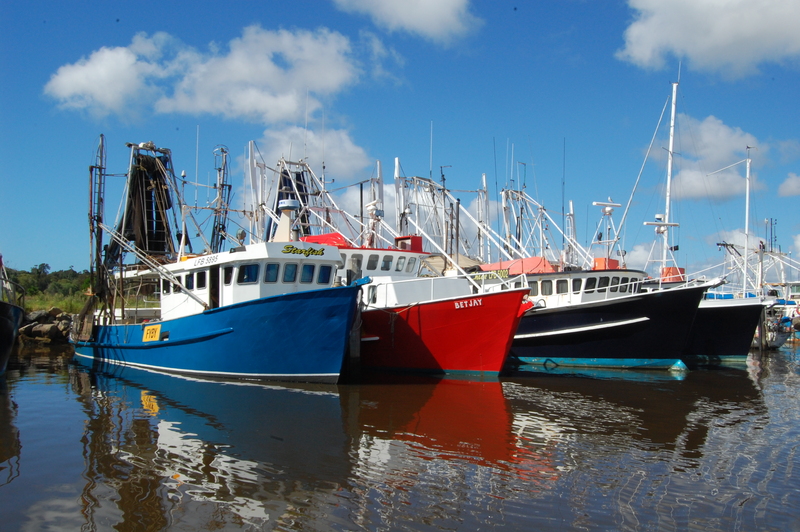 Not only is Yamba consistently rated one of Australia’s favourite towns, CSIRO has declared its climate to be the best… in the world. Well that all sounded very nice. It was also a good spot to meet up with Paul’s parents, Jean and John, who were driving up from Sydney in a rented motorhome. It looked like a family holiday was on the cards. 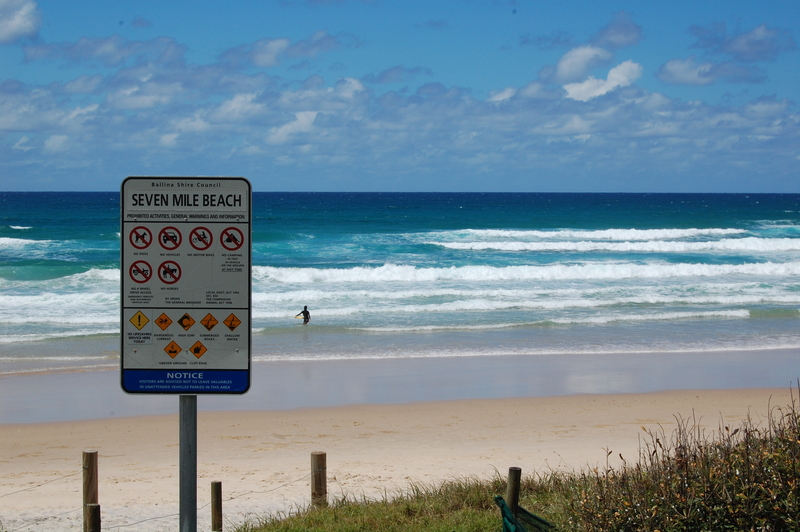 We took our time driving down to Yamba via the coastal route, stopping first at the fabulous Seven Mile Beach at Lennox Head. 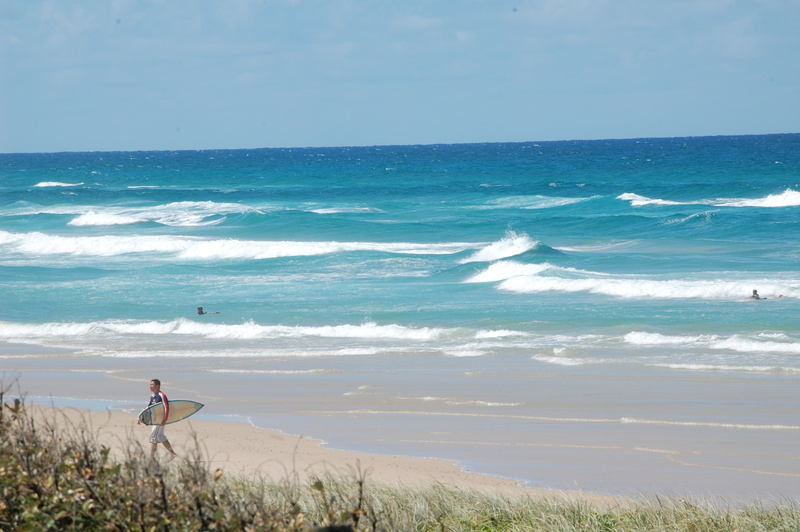 Famous among surfers for hosting one of Australia’s longest warm water surf breaks, the main attraction is unsurprisingly its stunning white beach and huge crashing waves. After dipping a toe in the water, we parked up and watched a group of beginner surfers and some French national juniors sharing the waves, while locals and tourists dropped in (to the car park – not our van) to take in the dazzling view and inhale some sea air. The whole place was buzzing. And it was the perfect place for our inaugural cup of tea, made all the more exciting because last month I was the very proud recipient of… a Valentine’s whistling kettle! Isn’t she grand? As morning tea threatened to roll into lunch we tore ourselves away from Lennox, and continued on to Bangalow, a little country town in the Byron Bay hinterland – deceptively close to the highway and an easy place to stop. Full of quirky shops and cool cafes selling gorgeous local products, along with a range of galleries and antique stores, I could have spent a whole weekend just meandering from one end of the strip to the other. Concerned that I was about to spend our weekend’s food budget before we’d actually got very far, Paul was starting to glance at his watch, so we bade Bangalow farewell. 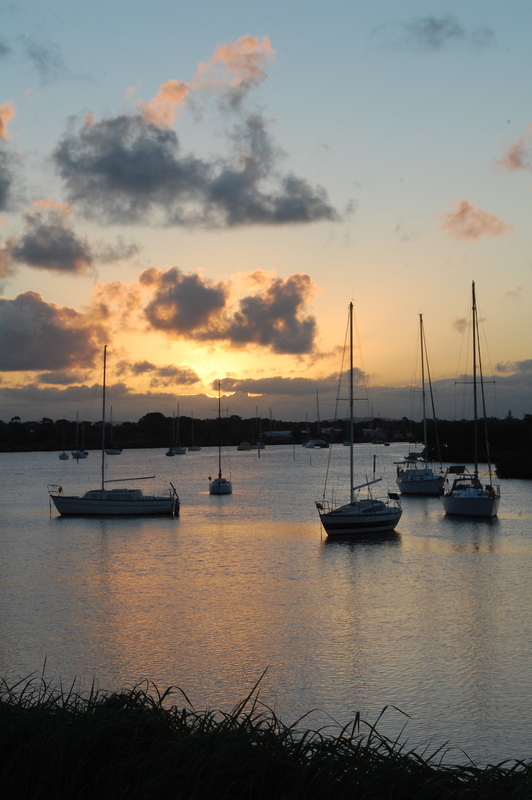 We arrived at our campsite in Yamba as the sun was starting to dip, and set up camp next to Jean and John. Unfortunately, their trip north had not been quite so leisurely. The van was duly replaced the next morning before it flooded completely and they reluctantly left the raindrop-bejeweled eucalyptus trees for the tranquility of the Hunter Valley. Unfortunately they had been pipped to the post by Rod Stewart and a few thousand of his closest friends, who had arrived for his concert the day before and booked out every last pitch. Sadly forgoing the promised winery tour, they ploughed on to the seaside resort of Port Stephens. With no rock stars or groupies in sight, they could finally start to relax, and almost see the amusing side of their disastrous first few days. This is the beauty of campervanning! The ability to be flexible and spontaneous, rather than a slave to the guidebook. This new-found optimism dissipated rather swiftly the next morning when they awoke to a defrosted fridge and what turned out to be a major electrical failure. Trundling only as far as the local breakdown garage, the flexibility and spontaneity were starting to wear thin. Seven hours later and buzzing from a day’s worth of vending machine caffeine, they made their way north to Coffs Harbour, where the van played its final trump card. As they pulled into their fourth caravan park in four days on a steamy late summer’s day, the air conditioning wheezed one final sigh and went to sleep. 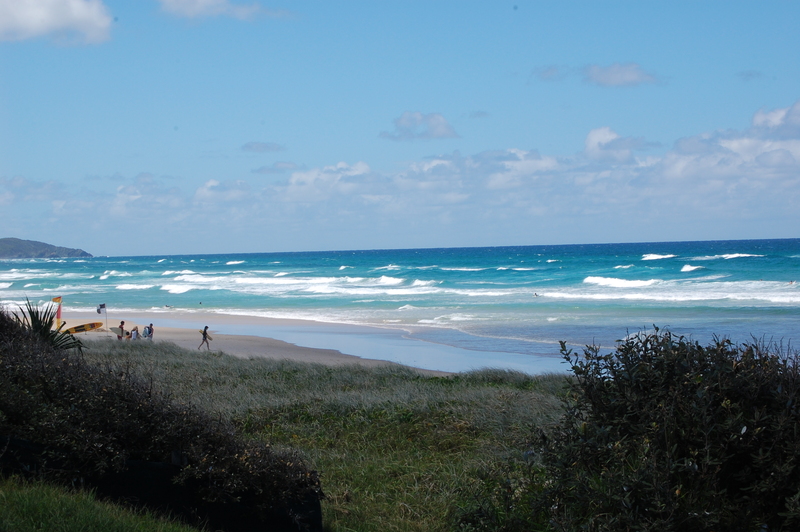 So when they made it to Yamba, hot, tired and a slightly jaded from their first motorhome adventure, they were desperately hoping for three days of uninterrupted relaxation. Luckily, we were staying in one of our country’s favourite places, and it didn’t disappoint. 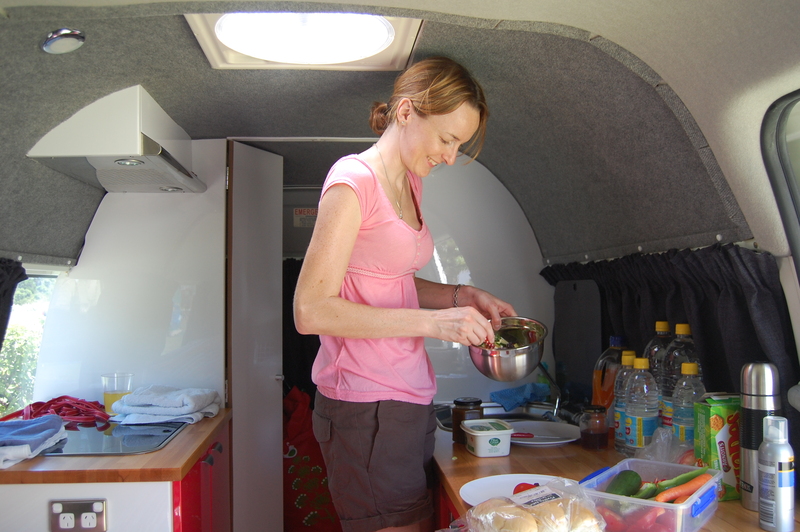 This was only our second trip in the campervan, and the first time we’d had the gas connected, so I’d been excitedly planning our first hot meal on two rings. So what did we have on our first evening? A Greek salad. No need to rush these things. Look at that head height though – hardly any stoop! 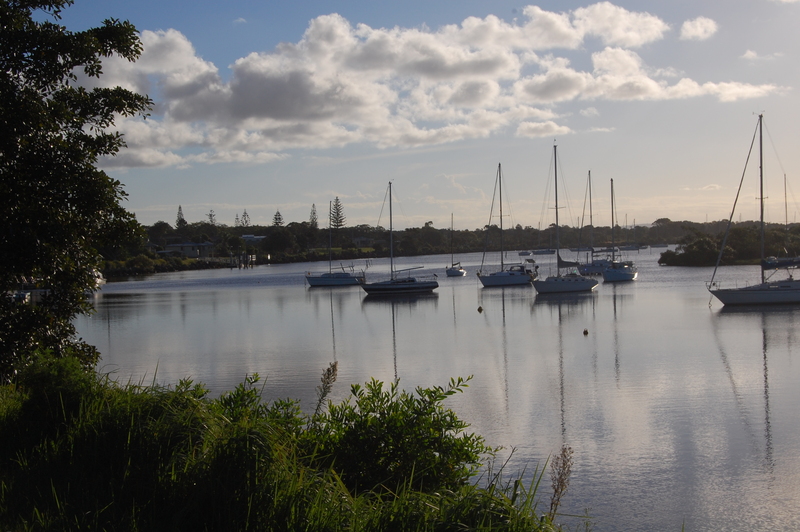 Our campsite, the Calypso Holiday Park, was in a great spot on the banks of the Clarence River and within easy reach of the beaches and shops. We took our new kayaks out for a spin, watched dolphins playing in the ocean and retreated to the Pacific Hotel for afternoon beers overlooking the beach. 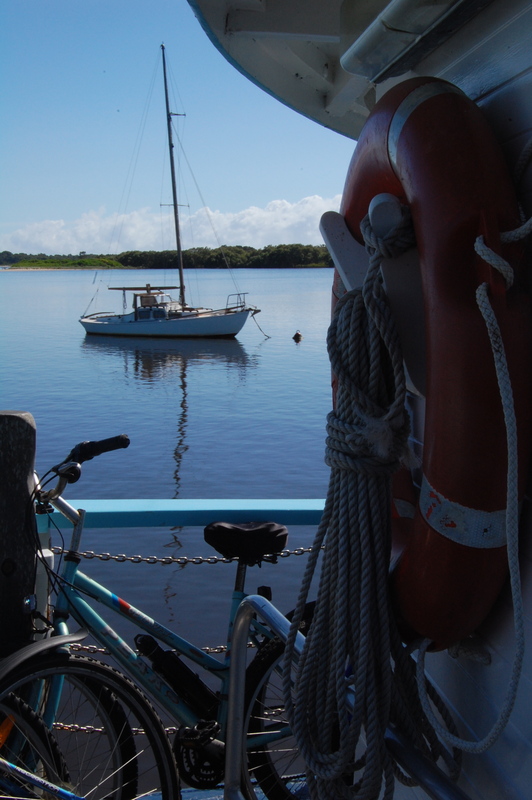 We did have one longer-haul trip and caught the ferry across the river to Iluka, which, surrounded by the estuary and national park, is a haven for anglers and bush walkers. 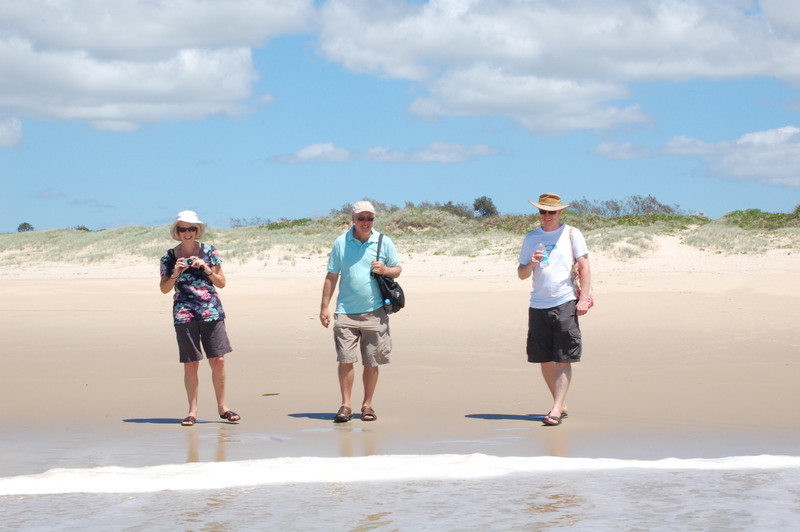 We didn’t manage to partake in either of those activities, and spent most of our time walking several kilometres in the searing midday sun to the beach, which turned out to be almost adjacent to the one we’d walked to in Yamba the day before. 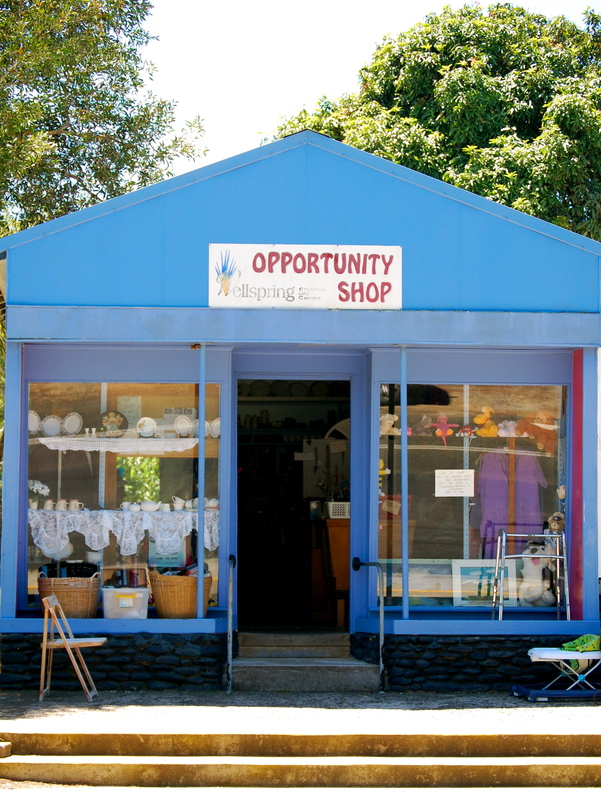 The ferry trip was lovely though, and isn’t this the nicest op shop you’ve ever seen? 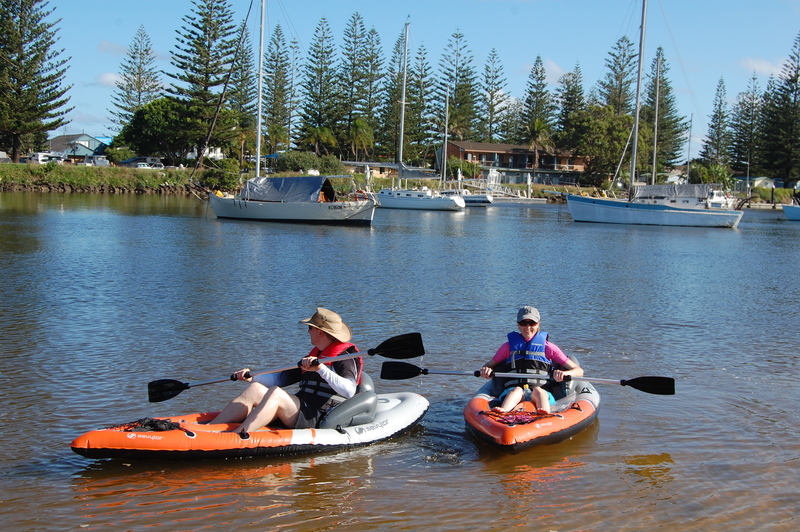 Yamba is a very peaceful village; it looks after its local residents and its refusal to succumb to the commercialism so familiar along the east coast draws holiday makers back year after year to enjoy its seaside charm and unhurried pace. It was the perfect place to do not very much at all. By our last night, after three sunshine-filled days (CSIRO might be on to something there), we watched the sun set over the river and really did feel relaxed and rejuvenated. So much so that when Jean and John’s kitchen tap fell off the following morning, they hardly batted an eyelid. 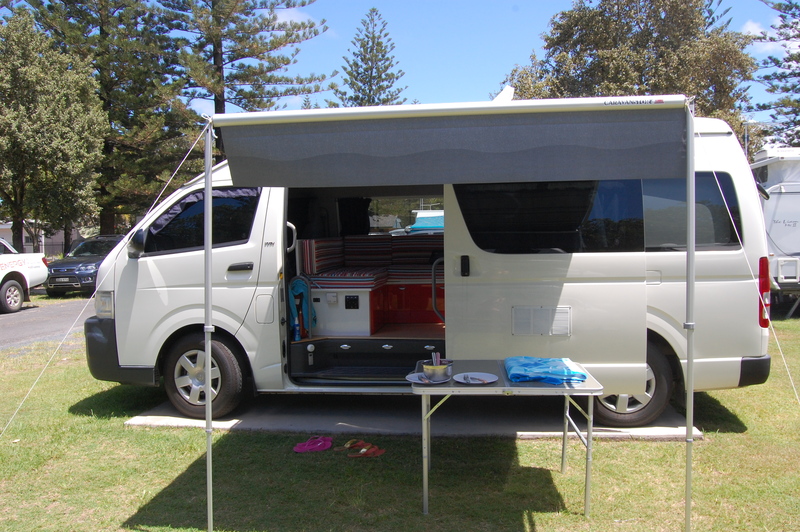 This entry was posted in Campervan trips, Campsite reviews and tagged best campsite in Yamba, Calypso Holiday Park Yamba, campervan trip, Iluka, northern NSW coast, where to stay in Yamba, Yamba by Rach. Bookmark the permalink. 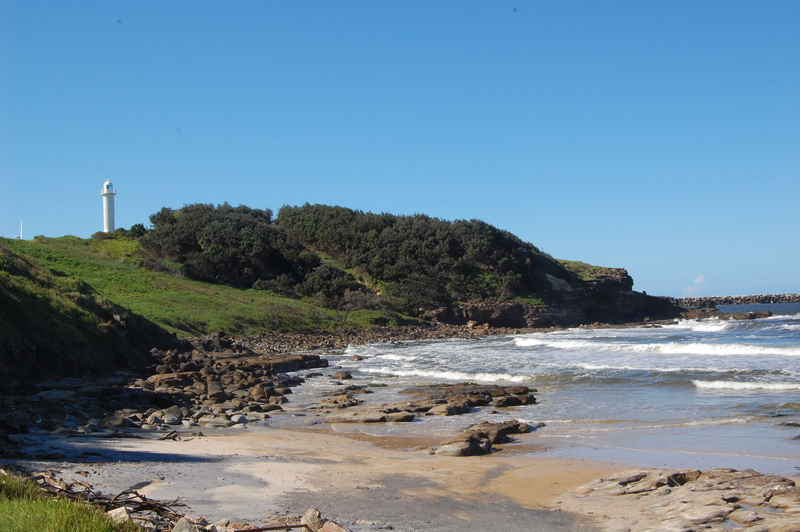 Great photo’s – Yamba is a great place!!! Glad you enjoyed your trip. A few notes – only your second trip……….. and how long has it been finished!!!!!! Remind me never to sew cushions also! Where is the next trip planned? Looking forward to seeing the Caravan article. Thanks Neil – I reckon a romantic trip to Toowoomba might be on the cards next! what is brand and part-no / name of tent/canopy ?